See scan - very good condition. 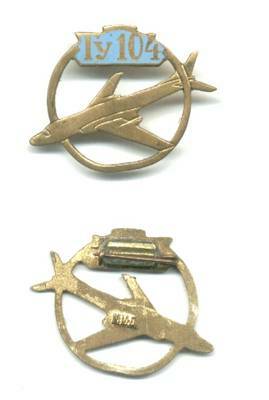 This is an early 1960ies Soviet Russian TU 104 airplane pilot badge / pin. Nice enamel work and first time I see this particular pilot badge. Marked at back. Great communist Russia collectible item. One of the nice Russian pins I've seen.